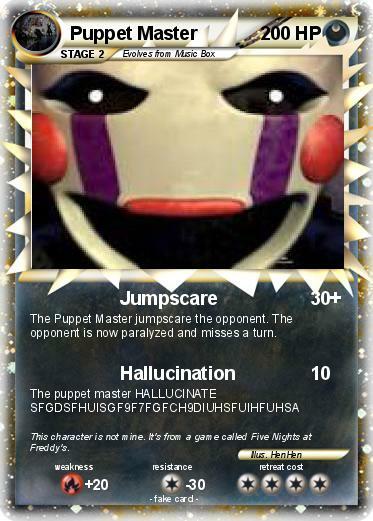 The Puppet Master jumpscare the opponent. The opponent is now paralyzed and misses a turn. Comments : This character is not mine. It's from a game called Five Nights at Freddy's.